Professional grade and environmentally friendly, concentrated open weave fabric cleaner. Designed to remove a broad range of soil from all open weave fabrics. 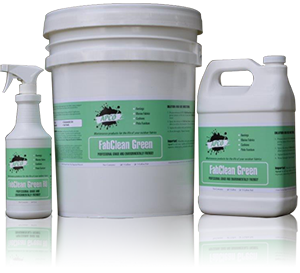 Applications: FabClean Green, a cleaner for outdoor open weave fabrics such as awnings, boat tops, covers and enclosures, and outdoor furniture cushions. Can be used for general maintenance and heavily soiled conditions. Coverage: Depending on the degree and type of soiling, method of application, concentration and environmental conditions, you may expect to clean approximately 500 square feet per gallon. Important: When fabric is dry, apply a protective coating of APCO Apseal or APCO Apseal Pro open weave fabric protector to add water repellency, reduce soiling, and help shield from environmental exposure, and inhibit mildew growth. Provides maximum water repellency, stain protection, plus inhibits UV damage and mildew growth. Applications: Apseal may be used on most open weave fabrics to provide a protective stain and water repellent finish. 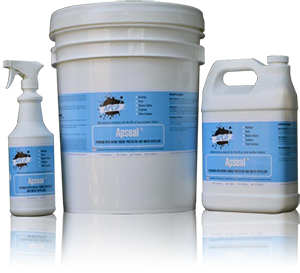 For best results, Apseal should be applied when fabric is dry. Important: Do not allow Apseal to get on undesired surfaces, as it can be difficult to remove. Immediately clean up any over-spray. Applications: Apseal Pro may be used on most open weave fabrics to provide a protective stain and water repellent finish. 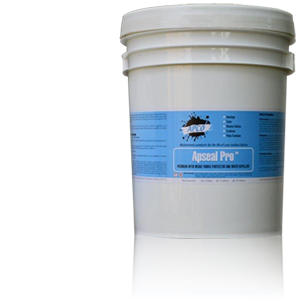 For best results, Apseal Pro should be applied when fabric is dry. Important: Do not allow Apseal Pro to get on undesired surfaces, as it can be difficult to remove. Immediately clean up any over-spray.